Ouma Sophie's shack in CNP. 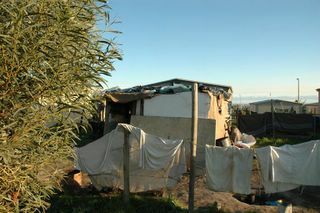 We wouldn't let a dog live like this, but the sad reality for many in South Africa is that this is all they can afford. It's good to see photos like this actually, as it makes praying for you guys seem much more real.